WHY OH WHY DID WE AGREE TO THIS? Sunday 21st June was a lot of things to a lot of people. For some, it was Father’s day, for others it was a celebration of the Summer Solstice and for many, it was just a normal Sunday. For the Glow team however, Sunday was a day when we wondered why. Why oh why did we agree to this? 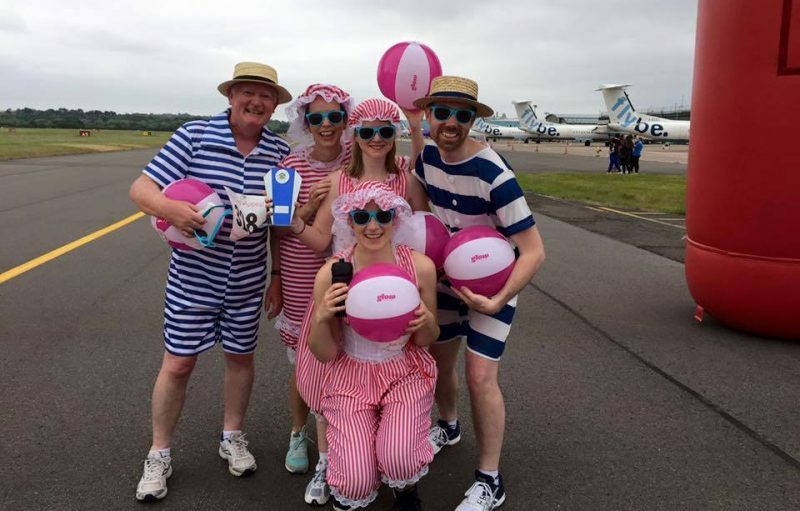 Months ago, we were approached by one of our clients, Southampton Airport, to see if we fancied taking part in a fancy dress ‘Fun Run’ up and down the runway to mark the Summer Solstice. The important bit (and the bit that made us agree to it) was that it was all for a very worthy charity, Sophie’s Appeal. ‘Yes’, we said, ‘Of course!’ we said. ‘That’s ages away and besides, it’ll be fun’….we said. It’s amazing how ‘ages away’ swiftly becomes ‘next weekend’. Quick, panic, get some fancy dress. Do you think we ought to train? Nah, it’s only 5k. 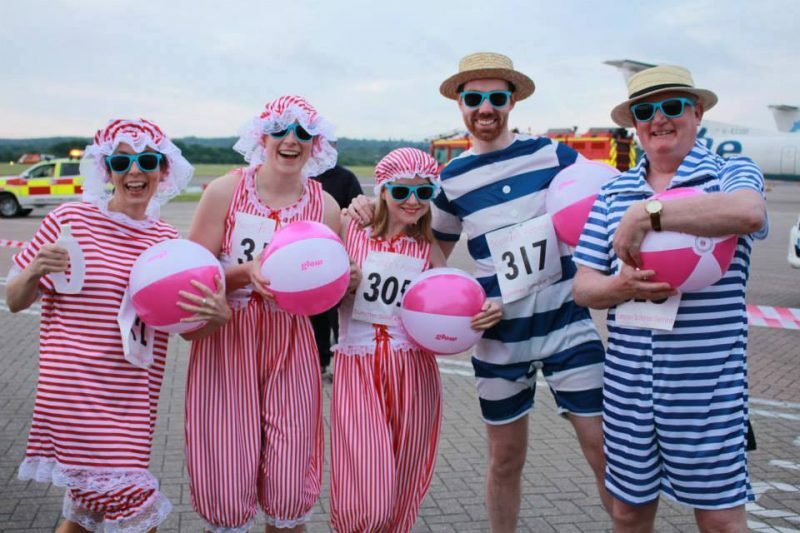 Following on from our summer beach ball and sunglasses promotion, we thought we would use these and go, as a team, dressed in beach wear. Not just any ordinary beach wear, no, we thought 1920s beachwear – we are talking frilly hats, stripey pantaloons the works. The other minute detail, was that this was all starting at 6am. That didn’t mean rocking up at 5.59am, we had to be up, dressed, parked, registered, warmed up and ready to race at 6am. That meant a 4.30am alarm call ON A SUNDAY! The incentive was that at 7.30am the planes start landing and taking off so it was a good idea to be out of the way by then. As we approached the airport, we passed a very serious looking runner. We joked ‘Oh look, he must be lost ho ho ho’. He was a serious runner, so serious, he was running to the ‘fun run’. It then became apparent, as we neared the meeting point that we, in our fancy dress, were in the minority. There were a few more people dressed up as we entered the crowds but by then, there was not much we could do other than embrace the situation. We took the warm up very seriously, prancing around with our beach balls in hysterics. And then it was time. We all shuffled to the starting line. The first few front rows were all checking their watches and bustling for a place at the front. Meanwhile there was a group of bleary eyed Victorian beach goers further back in the crowd wondering how the hell they had got into this situation. We quickly found ourselves at the back of the several hundred runners, but we didn’t care and we thought those who had set off too quickly would soon regret it. 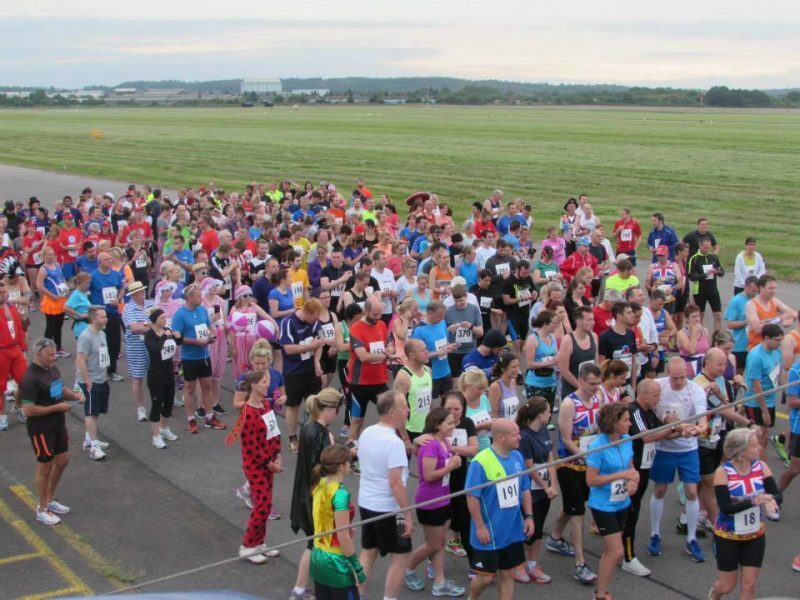 We paced ourselves and chatted as we gently jogged along the runway. You never realise just how long a runway is until you have to do it on foot, also, being straight (but thankfully flat) there was not a great deal of variety to our route. Still, the atmosphere was great, fellow runners were very encouraging and friendly and all the while we needed to remind ourselves just why we were doing this. Sophie’s Appeal was set up by the parents of the beautiful Sophie who, at 5 years old was diagnosed with Wilm’s disease, a rare form of kidney cancer. 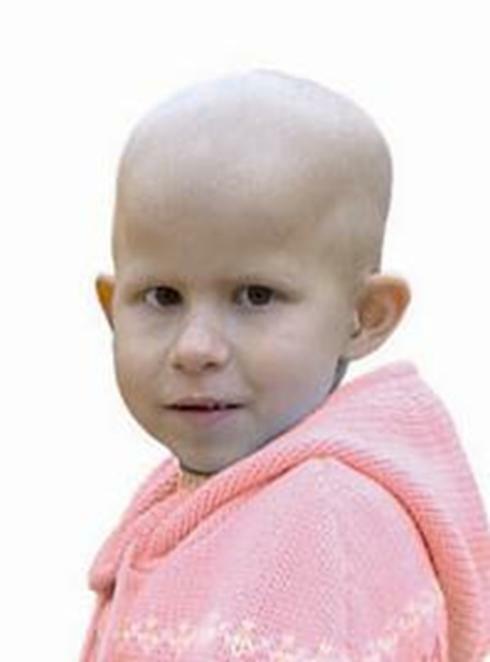 Sophie very sadly lost her fight but now, in her name, the charity does fantastic work providing dream holidays and respite care for terminally ill children and their families. They also help fund, design and deliver excellent child healthcare facilities in the local Hampshire community. What on earth were we doing complaining about getting up early on a Sunday and running for a bit? That is nothing compared to what some people have to go through, so we stopped our moaning and did our best Forrest Gump impressions. We just kept on running. 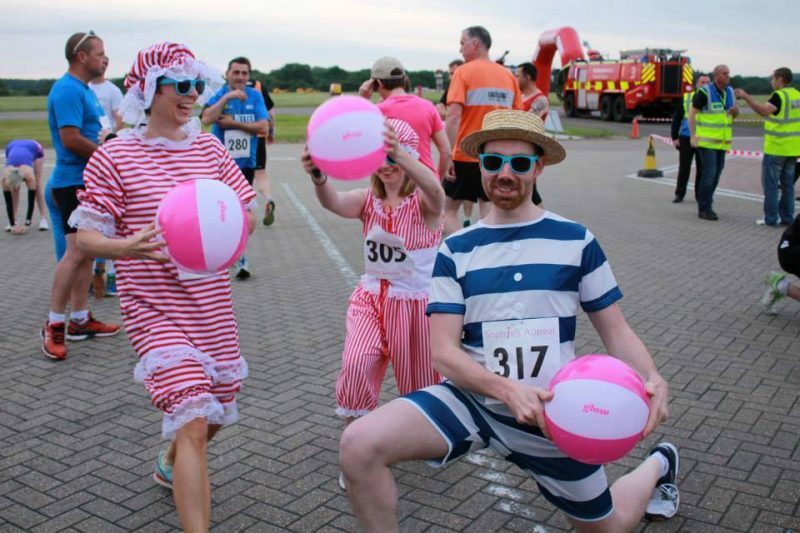 We all made it to the finish line in one piece, still clutching our beach balls and with smiles on our faces. All the other runners stayed behind to cheer everyone else on, it was so encouraging, we even managed a sprint finish. 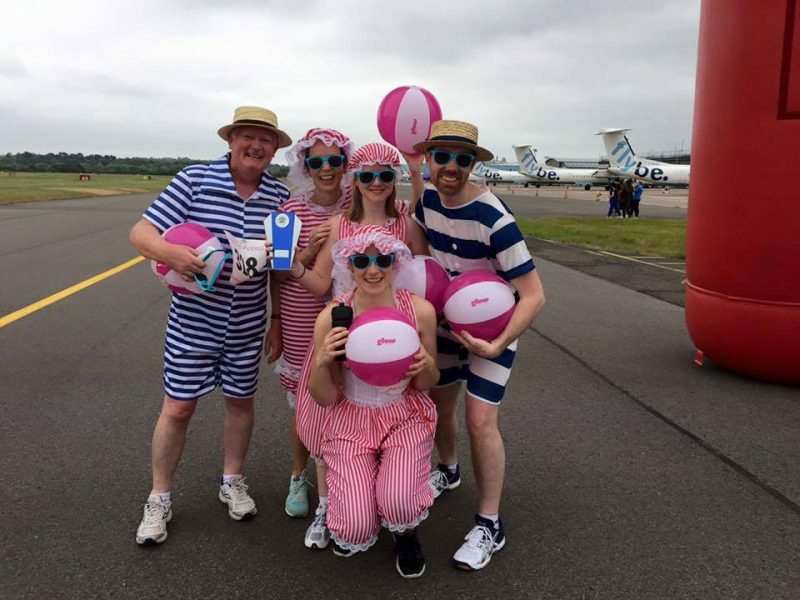 There is an additional bonus to this story, other than the event raising £4000 and that’s before sponsorship, Glow won the prize for the best team fancy dress. Hurrah, victory is ours! The rest of the day was spent patting ourselves on the back, nursing our legs, thanking our lucky stars for our own health and catching up on a bit of sleep. It wasn’t that bad in the end. Would we do it again?